National Sawdust 2018–19 Artist-in-Residence L’Rain melds the spiritual jazz of Alice Coltrane with hypnotic, shifting collages in her searing, personal style. Her live performances are “hypnotizing, a wonder of practice and refinement” with “uncommonly tight” orchestrations (Village Voice). 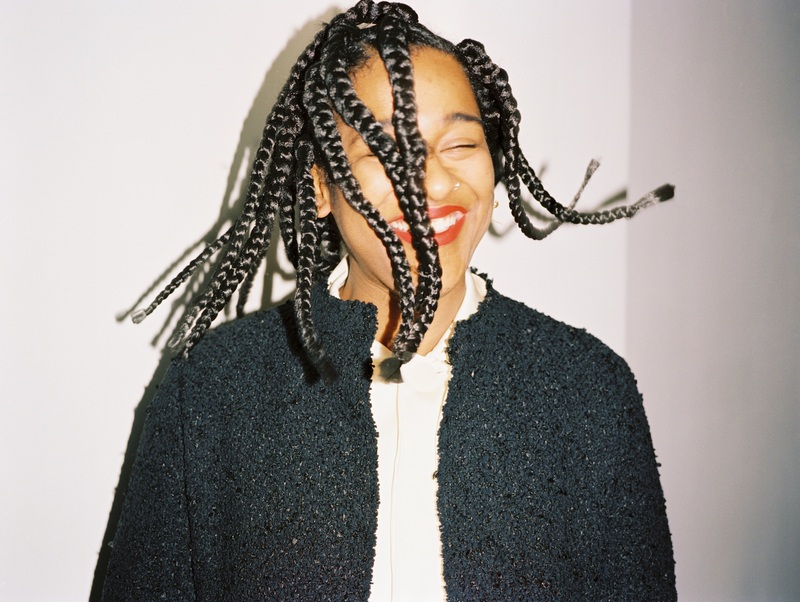 In her first residency show, she pairs new material with songs from her eponymous debut, combining sound, found video, and spoken word to explore the complexity of grief and the audacity of joy that are fundamental components of the Black American emotional landscape. L’Rain performs with her band: Buz Donald (drums), Ben Katz (keys and sax), and Devin Starks (bass). She is joined by artistic collaborators Akeema-Zane and Joselia Hughes. Taja Cheek, known professionally as L’Rain, is a multi-instrumentalist, songwriter, and vocalist from Brooklyn. She released her self-titled debut LP as L’Rain in 2017. She works as Curatorial Assistant at MoMA PS1, where she organizes the ongoing Warm Up series and Sunday Sessions, among other things.